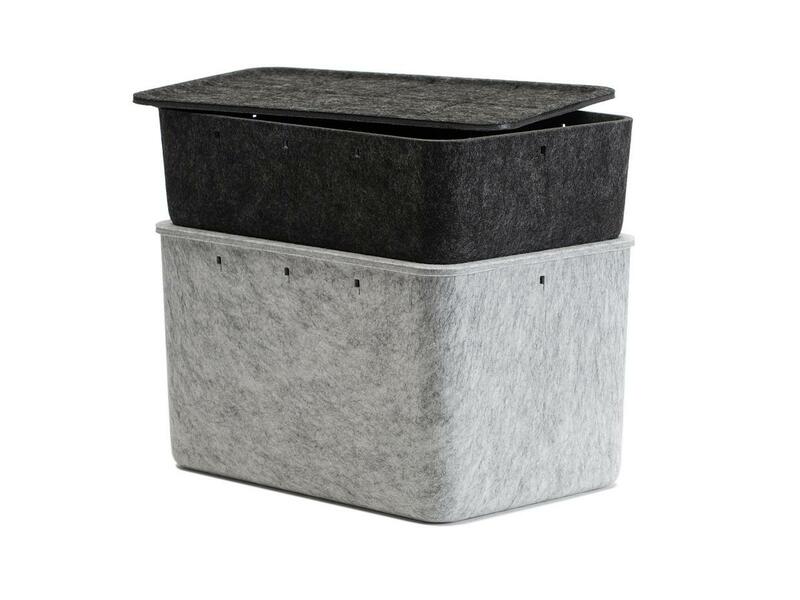 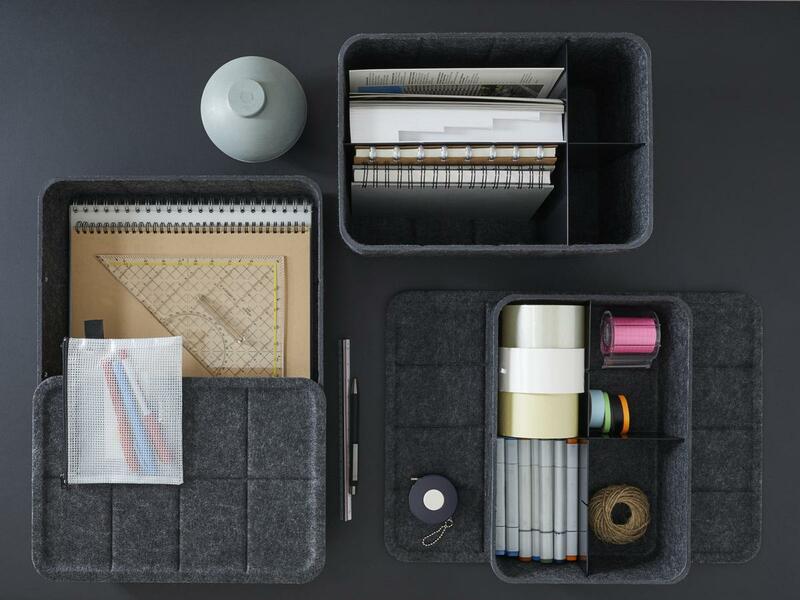 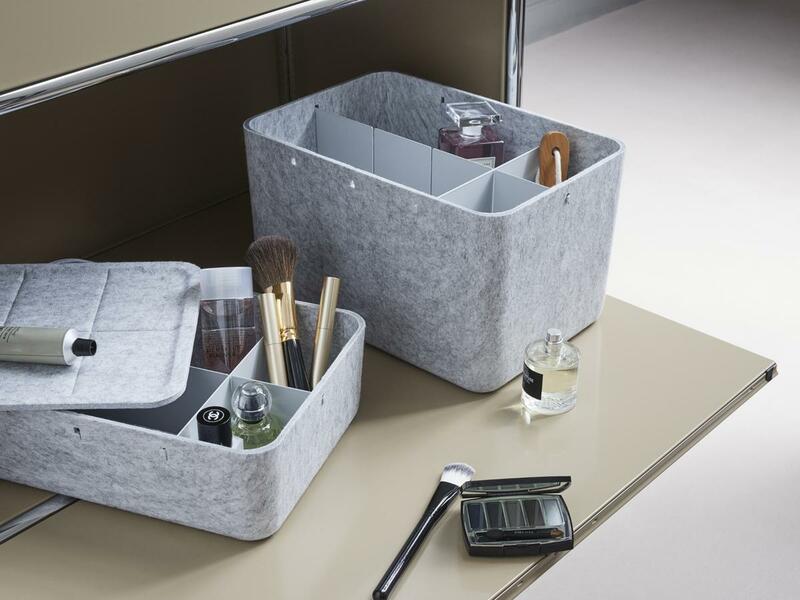 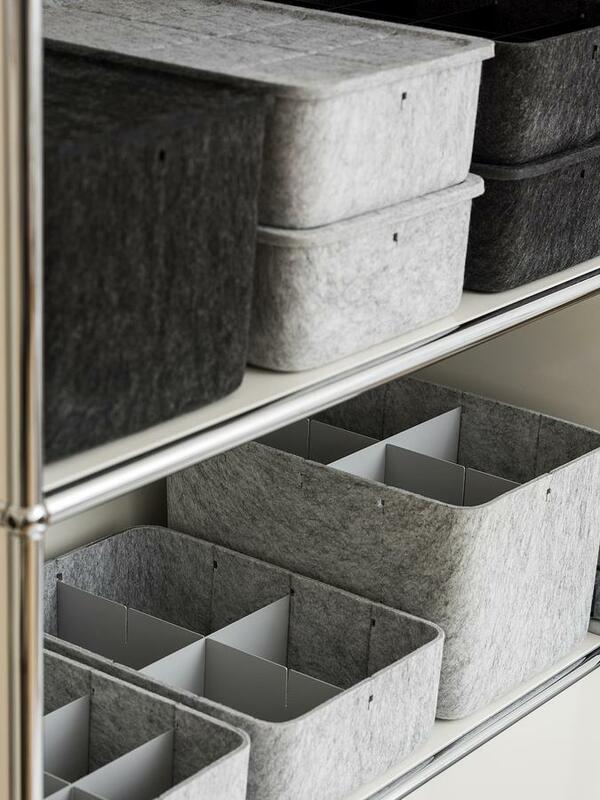 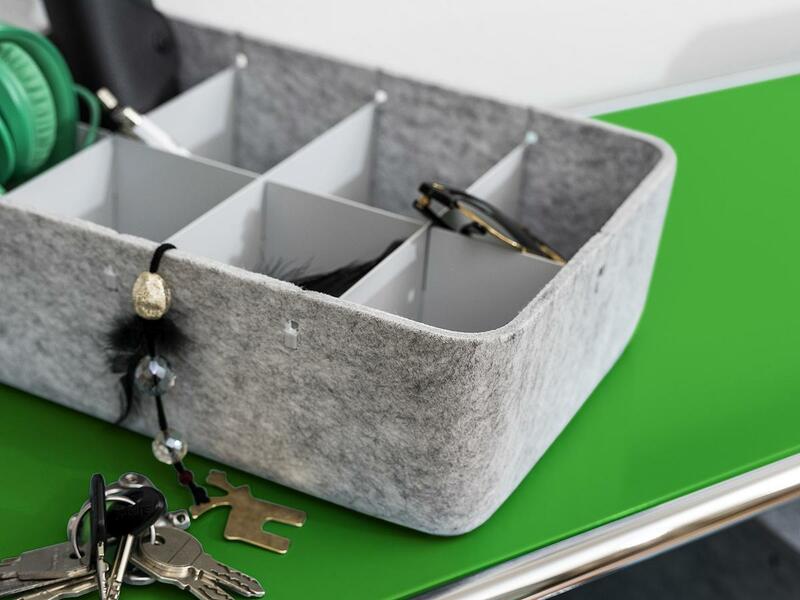 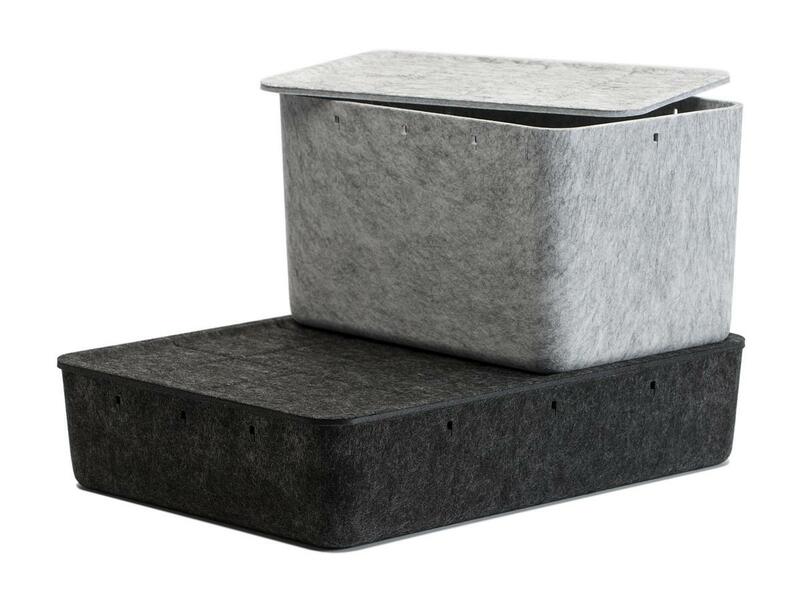 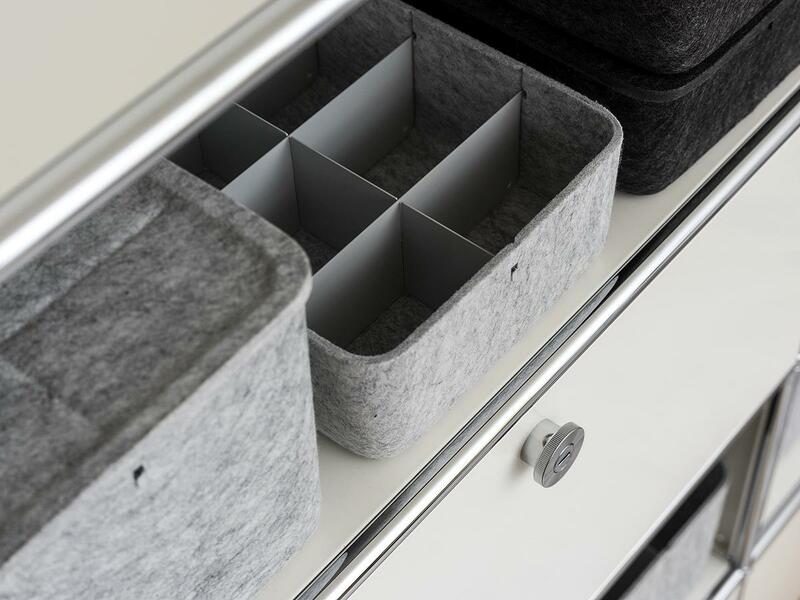 With the USM Inos Boxes, USM Haller expands its Inos organisation system with practical boxes made from polyester fleece. 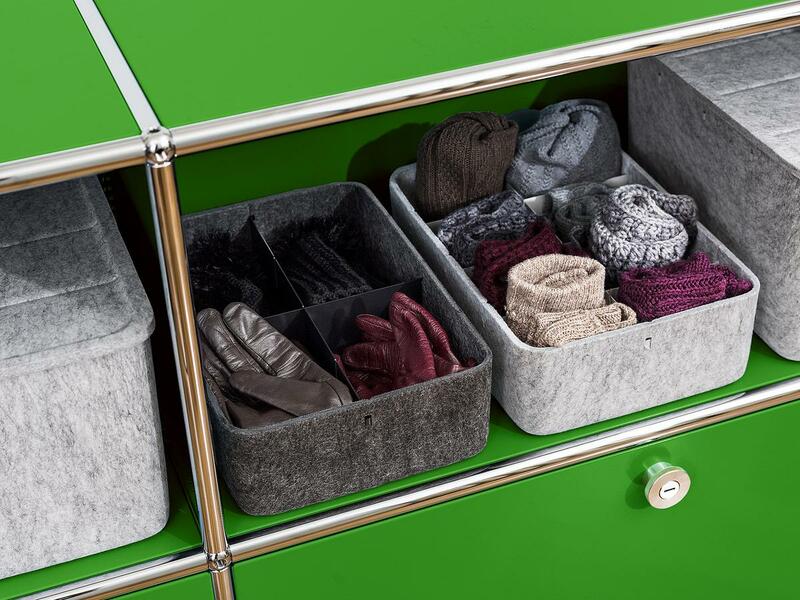 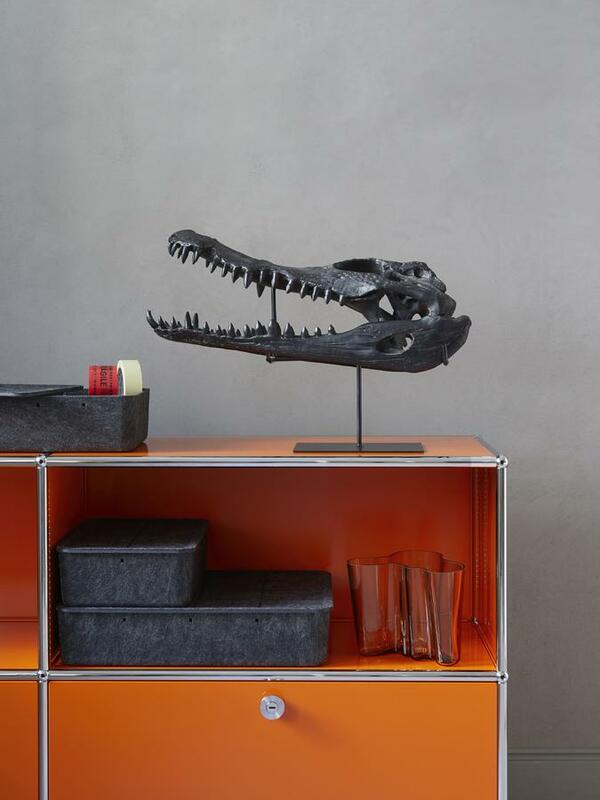 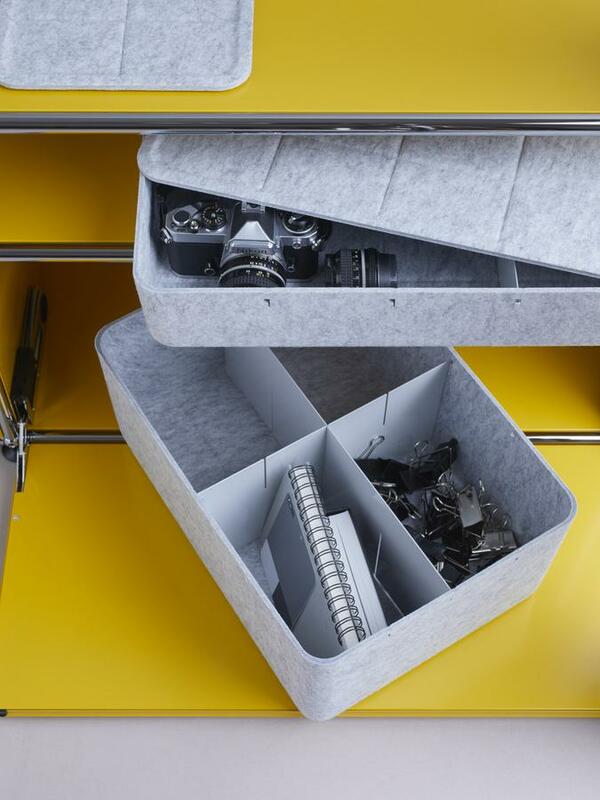 The warm material of the boxes presents itself as an excellent contrast to the cool metal of the USM modular furniture system - and also offers a practical storage solution! 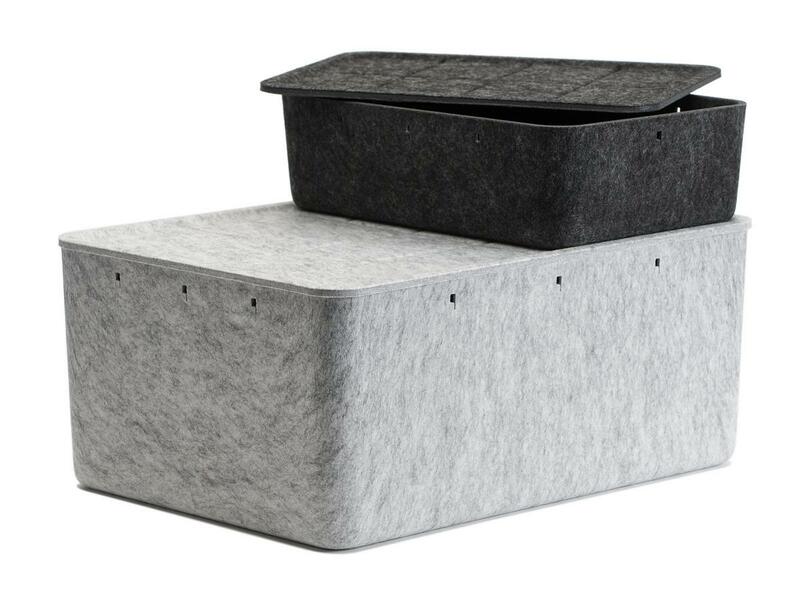 Variants The sub-dividers are colour matched to the box's: the light grey box has light grey dividers and in the anthracite box graphite black dividers. 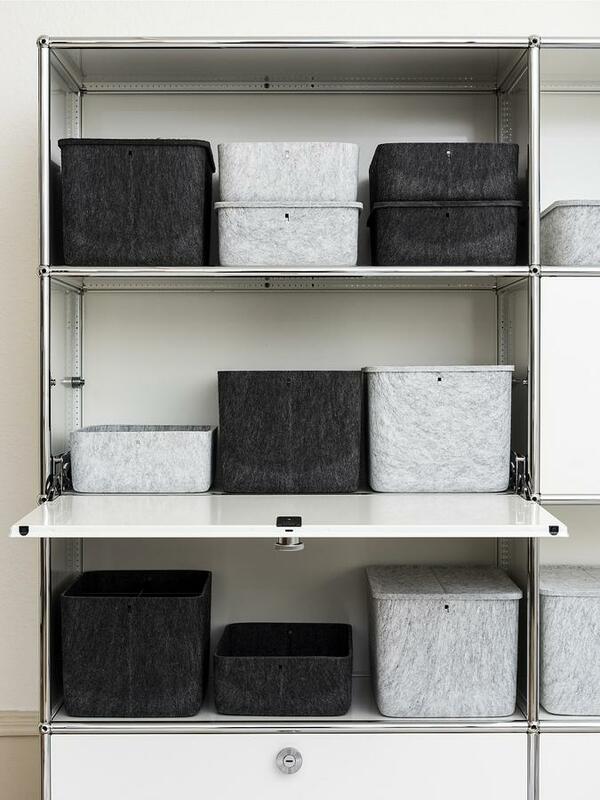 Care Light dirt can simply be vacuumed. 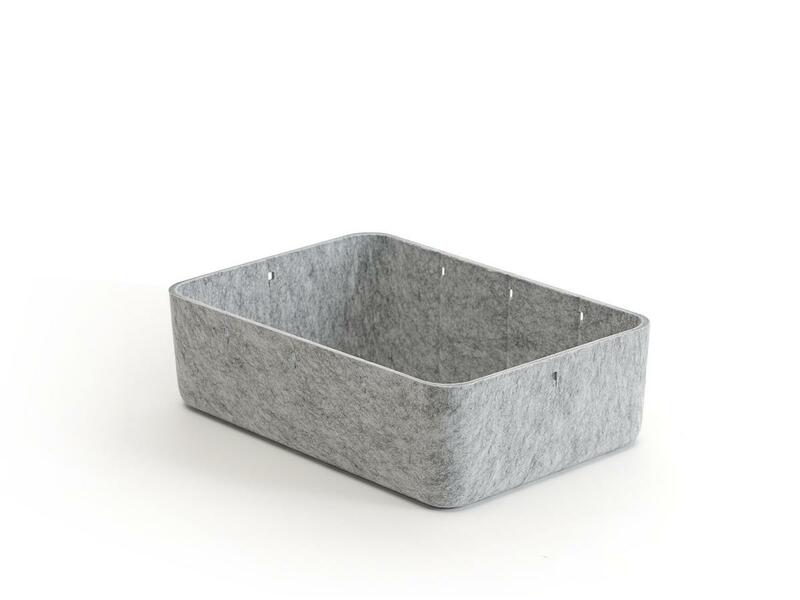 Wipe with a damp cloth if necessary.